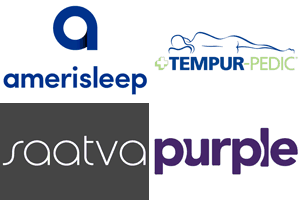 Casper and Tuft & Needle are two of the more prominent online mattress stores in the United States. They both entered the market to tackle the problem of how expensive top-of-the-line mattresses can be for the average person. Prior to the internet era, a few large mattress companies were able to dominate the market space. But recent years have seen a number of competitors pop up and provide awesome products for relatively low prices. In today’s review, we will give you all the tools you need to determine which of these two mattresses is right for you. Tuft & Needle is a small Phoenix, Arizona based company that was started a few years ago by two entrepreneurs. They have a local showroom but provide mattresses to people throughout the whole country. If you do want to see one of their mattresses in person, you’ll have to head to Phoenix – the majority of their business is done online. The primary aim of the Tuft & Needle brand has been to provide the best possible mattress at the lowest possible price. If you do buy a Tuft & Needle mattress, you’ll also receive a number of benefits. You will receive a 10-year warranty with your product, as well as a 100-day money back guarantee. You will also receive free shipping within the United States, and same-day delivery within Phoenix, Arizona. The Tuft & Needle mattress takes a basic approach to foam construction, they have two main layers of foam which provide the make-up of the mattress. These two layers are explored in further detail below. This is the layer that is responsible for the comfort and feel of the mattress. It is made out of poly foam and provides a breathable, but comfortable surface. This portion of the mattress is only 3” thick. This is the support layer of the mattress. It is used to provide foundation for the top layer of the mattress – it is made from much more dense foam, which provides the firmness needed to create a sturdy bed. This portion of the mattress is 7” thick. As you can see, the total thickness of the mattress is 10” – it doesn’t waste any time with additional layers, but provides plenty of comfort for its occupants. The Tuft & Needle mattress cover is extremely minimalist, it doesn’t provide much in the way of creativity. If you’re looking for a mattress that has a large cover with extra padding, this isn’t the one for you. The Tuft & Needle cover does a great job of letting the owners interact with the mattress themselves. People often complain that modern mattresses are almost all based on their cover – but this creates problems as the mattress itself may not be quality and covers tend to retain warmth and create heat. Having a minimalist cover is the best way to make sure that you aren’t retaining too much heat. The Tuft & Needle mattress does an amazing job of providing exceptional comfort for an extremely low price. In fact, 95% of people that try the Tuft & Needle decide to keep it. They have one of the best customer satisfaction ratings out of many of the new mattress market entrants. In terms of support, the Tuft & Needle scores well. This is because it has a large support base and not as many top layers providing different memory foams. This has meant that the Tuft & Needle has been able to develop a reputation as one of the stronger foam mattresses on the market. The firmness comes in at 6.5/10 – scoring above average across the board in terms of support. If you find that you are a bit of a heavier sleeper, you may enjoy sleeping on this more than the Casper mattress as you won’t sink into the bed as much. 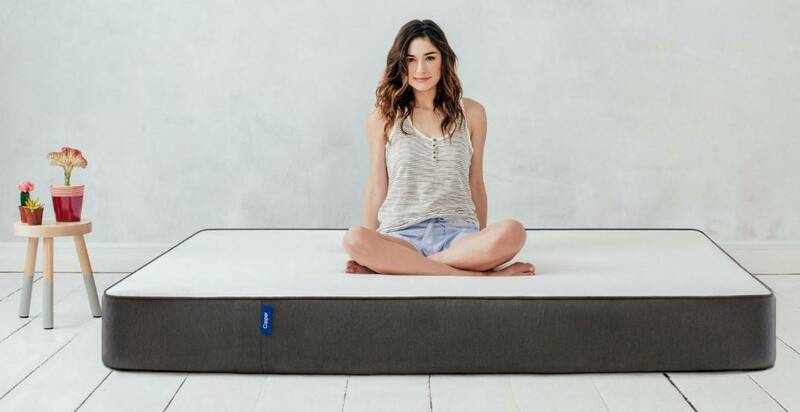 It’s important to note that while this mattress doesn’t provide plenty of support and resistance, the nature of its foam construction means that it is still comfortable for light sleepers. The top layer will still provide you with the hug and contour you’re looking for from a foam mattress. Casper is another up-and-coming mattress company that has made a name for itself over the past few years. It has been able to completely cut into the foam mattress industry by creating an online mattress company that passes on savings to the consumer. Instead of having expensive show rooms for their clients, they have focused on creating an online store that allows for reduced costs and streamlined services. They’ve been extremely effective at supplying quality mattresses quickly. If you decide that you want to purchase a Casper mattress, you’ll be protected by a 100-day money back guarantee. You’ll also receive a 10-year warranty which protects against factory defaults and a range of other problems. 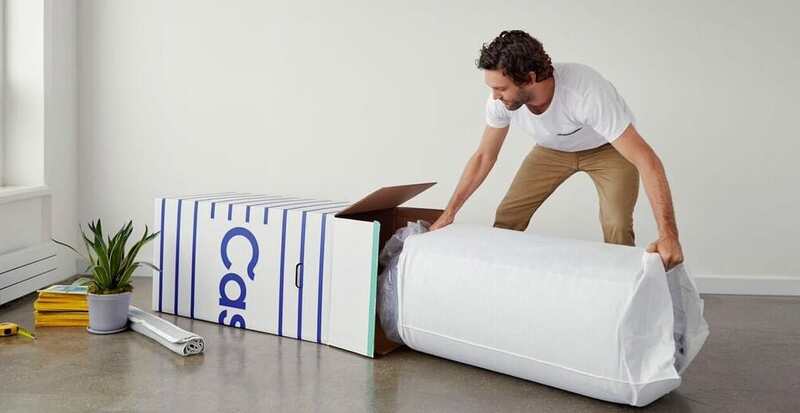 And don’t worry about shipping – Casper provides this completely free of charge for all their mattress orders. Unlike Tuft & Needle, Casper uses four separate layers to manufacture their mattress. They do so to provide their clients with a range of different benefits from a variety of different materials. A full explanation of the different layers is outlined below. This is the first layer of the mattress, which also happens to be the layer of the mattress that you will be coming into contact with when you sleep on it. Casper has created this mattress using a 1.5” thick poly foam. This foam is intended to provide you with as much comfort as possible without retaining too much heat. This layer of the mattress is also designed with comfort in mind. It is a 1.5” thick memory foam layer that is similar to those used in many top-end foam mattresses. Memory foam tends to retain heat – this is why they have not used it as the first layer, the poly foam provides a buffer for the heat to dissipate into. This layer is also a 1.5” layer of poly foam. This is a transition layer that adds both breathability and comfort prior to the foundation of the mattress. The foundation layer is a 5” thick layer that provides total support for the rest of the mattress. It is constructed using extremely dense foam that provides the firmness that is needed to create a proper foundation. One of the most common complaints with foam mattresses is that they retain too much heat. This is understandable, as the dense material tends to absorb your body heat quite effectively. Casper has done their best to eliminate this problem all together – they use poly foam which is much more breathable than traditional foam. This is an innovative solution to the ongoing problems of foam heat retention. Heat retention is also a priority of the cover that has been designed for the Casper mattress. The mattress is intended to be as light and thin as possible. This means that the cover doesn’t retain any heat and allows the mattress to be breathable. It also gives the owner direct contact to the materials that make this mattress as awesome as it is. As you will see, the design of the cover is also quite basic. The top is plain white and the sides are dark grey. In terms of composition, the materials used to make the cover are also fairly basic. The top of the cover is completely polyester, while the side is a mix of polyester and polypropylene. The sides have a much more sturdy feel – this is done to create extra edge support. An often un-thought of problem with foam mattresses is the amount of edge support they have, and Casper uses the cover to help reduce the problems that could be common place with many foam mattresses. Casper has done a great job at creating a considerably comfortable mattress. The feel of the Casper mattress is slightly different to that of other forms of foam mattresses. Many people who purchase foam mattresses often complain that the memory foam sinks too much and creates too much contour around their body. This means that the bed does not bounce at all, which can be a rather weird feeling for some people. Casper uses poly foam as the first layer to provide a mix of hug and bounce – it is much more responsive than your typical foam mattress. This has been very positive with many of the company’s clients – they feel they’ve finally found a foam mattress that has some of the traits of a normal top-end mattress as well. In terms of base support, the Casper mattress falls right in the middle. The Casper scores a 6/10 in terms of mattress support. This means that it isn’t extremely firm, but it still has some good support foundation that provides a solid mattress structure. This is great for those who are of a normal weight, but those who are heavier sleepers might find that this doesn’t have quite as much support as you may want. If you do weigh more than 240 pounds, you might want to look for a mattress that scores 7/10 or higher in terms of support. There are plenty of reviews of such mattresses available on our site. After reading this review you probably have a better idea of which mattress is right for you. The Tuft & Needle mattress is extremely good value for money – the mattress is also extremely comfortable, 95% of their customers decide to keep the mattress after the money-back phase is over. This being said, the Casper mattress has done a great job at being one of the most revolutionary foam mattresses on the market. They use four layers to provide the ultimate sleeping experience. They’re also one of the most breathable mattresses on the market. If you find that you have problems overheating when you sleep, this is probably the best foam mattress available. You can’t beat the Tuft & Needle for price, but both of these mattresses come in at super competitive rates for foam mattresses. If you need a bit more support, you’re probably better off with the Tuft & Needle, but those who need serious support are most likely better with a different mattress altogether. Make sure to check out some of the other reviews on our website – we have extensive information on a range of different mattresses – you’ll be sure to find the perfect one for you.